It’s been said that to really experience the Grand Canyon, one must venture below the rim by way of an established trail that tumbles off either rim. In the entire expanse of the 277-mile long canyon, there are only a few dozen such thoroughfares that lead one into the majestic backcountry. Most date back to the pioneer era. A few follow centuries-old foot paths that exploit fortuitous breaks in otherwise impenetrable cliffs. 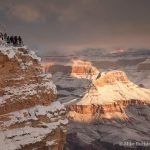 The common denominator for all Grand Canyon trails is straightforward access to the chasm’s fabled interior, and their physical vulnerability to the region’s harsh elements. The same forces that have created the canyon itself, wind and water, can batter these trails beyond recognition in short order. The National Park Service has a hard-working crew of individuals that keep these trails passable for recreational use, mule traffic, and NPS employees on patrol and service-related projects. It is back breaking work, and anyone who has enjoyed the fruits of this arduous labor has a trail crew member to thank. With increasingly tight federal budgets, the National Park Service counts on private funding to make up the shortfall for trail upkeep. 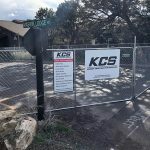 If you would like to financially support these ongoing projects the nonprofit Grand Canyon Association would love to hear from you. 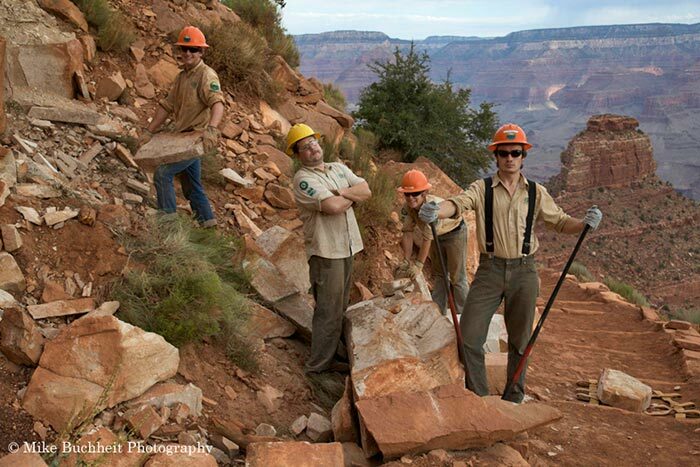 Follow this link for details: Grand Canyon Association: Trails Restoration.